Hello, World! It’s Friday 16th June and just like every other week, we are back with the weekly tech news roundup. This week we have an absolutely exciting list for you. This week’s news covers Microsoft finally announces the Xbox One X (earlier known as Project Scorpio), Amazon willing to buy out Slack for $9 billion, Twitter gets a new design, Google Drive enabling full PC backup and Softbank acquires Boston Dynamics. That’s a lot of content to cover so without any further delay, let’s get right into it. Every year, tech companies in the gaming industry come together at E3 to showcase what they’ve been working on and to tease new products. At E3 2016 Microsoft took the stage to announce a brand new console in the form of Project Scorpio. Project Scorpio was so ahead of the league that it literally blew away the competition and had gamers drooling all over it. This year Microsoft finally made the official announcement for Project Scorpio and it’s being called the Xbox One X. Wierd naming aside, this new console packs in a lot of horsepowers. It’s powered by a custom 8 core CPU made by AMD clocked in at 2.3 Ghz, a six teraflops GPU clocked at 1.17Ghz and 128 GB of DDR5 video RAM. All of these overkill of specs make it capable of 4K HDR gaming with Dolby Atmos support. If you don’t own a 4K panel, however, the Xbox One X will make games look better in 1080p as well, all thanks to supersampling. The console also supports 4K Blu-ray drive like the Xbox One S. Also, you don’t really have to rebuild your gaming library or buy new accessories for the Xbox One X as it will be compatible with everything from the original Xbox One. In order to keep the Xbox One X’s hardware from overheating, Microsoft built a custom console first liquid cooler vapor chamber which has only been seen on PC gaming rigs, but given the specs it packs, it makes perfect sense for Microsoft to have it in there. Xbox One X is certainly the most powerful console ever and it’s all that Microsoft needed to bring VR to the living room. 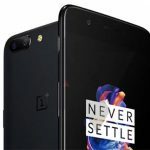 While the company has made no official announcement about VR support, it’s almost certain to see support in the coming days. Alongside the new console, Microsoft also rolled out a new Forza title which will roll out alongside the Xbox One X. Microsoft also revealed that PlayerUnknown’s Battlegrounds will be headed to the Xbox One X exclusively later this year. The game has been a huge hit on PCs already, so nabbing an early console launch is a big get for Microsoft. 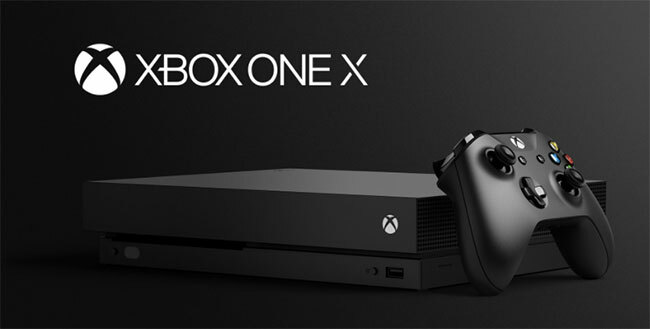 It’s one of many Battle Royale-esque multiplayer titles, placing you on an island with 100 other players in a fight to the death.This new console from Microsoft is priced at $499 and will start shipping during the holidays. Amazon CEO, Jeff Bezos is on track towards becoming the world’s wealthiest person, beating Bill Gates who currently owns that title. It’s not surprising considering how well Amazon has been doing lately. Amazon’s AWS is the leading Cloud Storage provider and Amazon is the leading e-commerce platform in multiple countries. Amazon has a lot of business facing solutions for startups and companies to tap into, but it only has a handful of consumer facing offerings. Especially in the productivity segment, Amazon has nothing going for it. This is where Slack comes in. The startup is focused on Team Messaging and productivity. It is one of the best apps for day to day communication just because how easy it makes managing everything in one place. Slack recently raised another $500 million and is widely adopted by companies worldwide including companies like Airbnb, Samsung, BuzzFeed and other known brands. According to recent reports, Amazon is interesting in buying out Slack for over $9 Billion. There’s this is possible that Slack may not accept any of the offers, but if it does, it will be valued at a whopping $9 Billion. Out of the top 5 tech companies in the US, Amazon is the only one without a messaging platform. Microsoft has Outlook and Teams, Apple has iMessage, Facebook has Messenger, and Google’s got Hangouts. You may be interested in knowing why Amazon may be interested in buying Slack, after all, it doesn’t fit Amazon’s business portfolio. Well, Amazon launched Chime this year which is a workplace communication service. 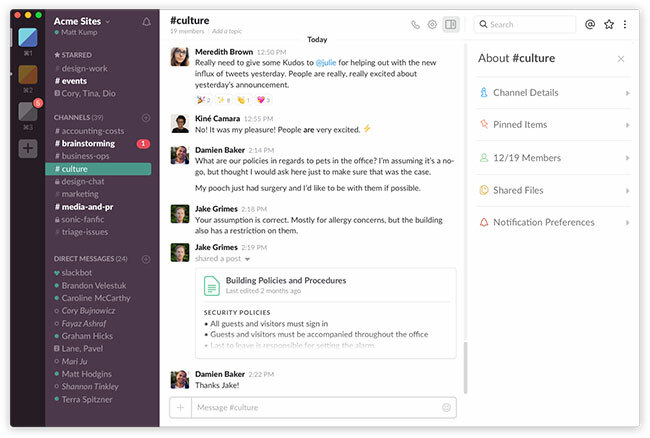 It’s a lot like Slack focused on Audio and Video. So Amazon is definition interested in getting into this business, Slack would simply jumpstart their userbase. Every now and then an app or service that you use undergoes a significant redesign to cater to the needs of their growing user base and to keep up with the current design trends. 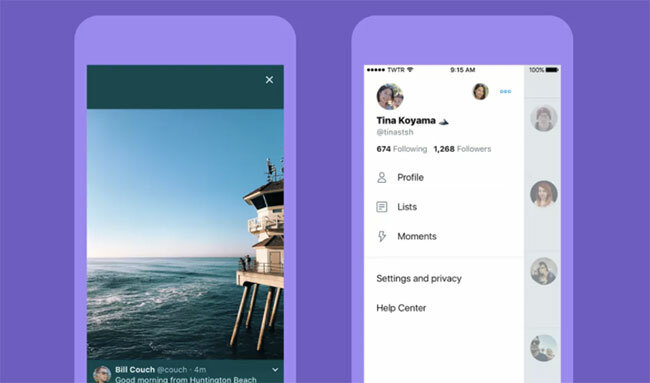 This week Twitter rolled out a redesign over the web and mobile apps. This new take on the design brings the iOS version of the app closer to the Android version. The redesign brings the profile badge into a side navigation and lays emphasis on the app’s typography. The iOS version has a cleaner navigation as well. The new side tab which can be accessed by pressing on the user profile picture let’s you access your profile, Moments and Lists along with Settings. The whole look is geared towards making the app look way more cleaner. There’s a lot of spacing in all the right places. The app now uses rounded icons compared to the square ones they used earlier. One major change is the reply button which is now a speech bubble instead of the older reply arrow. On iOS, the new design replaces Twitter’s in-app browser with Safari View Controller, which brings AutoFill, content blocking, and Reader view. You’ll also now have the option of loading stories in the plain-text Reader view by default on articles that support it. The bolder typography is certainly a nice touch. You still can’t edit Tweets though. The new design will be rolling out over the next few days on both Android and iOS. Google Drive is one of the most popular cloud storage providers for consumers. Every user gets a 15 GB free storage limit and users can pay for more storage if they want. Well starting June 28th Google Drive is going to be done way more powerful. Google Drive is coming closer to becoming the answer to all your computer storage needs. Google just announced a new Backup and Sync tool which will be giving everyday users the chance to save all their PC content to Google Drive. It’ll make file management in the cloud a more seamless experience. Rather than having to go through the trouble of creating entirely new folders, the tool will recreate your desktop folder system in Google Drive. Google says itself made the tool with casual users in mind so it isn’t built for more complex systems that businesses tend to use. Instead, it will give them an easier way to backup their files. The new tool lets you select folders on your computer to be backed up on Drive. If you don’t pay for extra storage and you have a ton of files on your desktop, you might go over the 15 GB limit offered in free accounts — but you can always pay for more storage or manage you backup files to fix that issue. This will certainly be an interesting offering and will make lives easier for a lot of people. 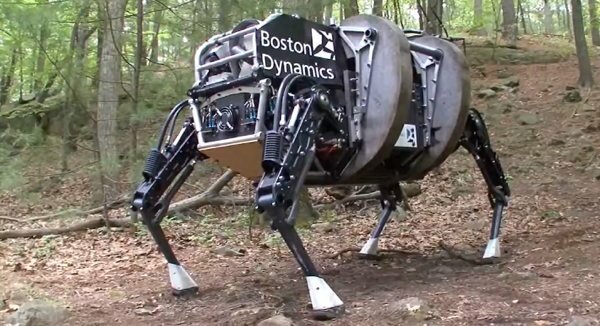 Remember Boston Dynamics? The robotics firm that Google had acquired way back. It’s the company which created those crazy robots who had mimic actual animals and their behavior. Here’s a surprise news, Softbank is acquiring it from Alphabet. There’s been news about Alphabet willing to sell Boston Dynamics for well over a year now, we had even covered the news when Toyota was eyeing the acquisition. Masayoshi Son, the CEO of Softbank said that smart robotics are going to be a key driver of the next stage of the information revolution. While SoftBank has been hard at work doubling down on big bets in areas that it believes will be at the center of the future of computing – other acquisitions have included its $24 billion acquisition of chip maker ARM Holdings — for Alphabet, this is part of the company’s bigger efforts to rationalize some of its many acquisitions and strategic bets over the years that have not panned out as great fits with the wider business. It looks like the whole team is coming over with the deal. “We at Boston Dynamics are excited to be part of SoftBank’s bold vision and its position creating the next technology revolution, and we share SoftBank’s belief that advances in technology should be for the benefit of humanity,” said Marc Raibert, CEO, and founder of Boston Dynamics, in a statement. Personally speaking, I like Twitter’s new, smoother lines – on the other hand, it will take more than that to keep the platform relevant. Thanks for the great information about technology. The official app of Twitter for Windows 10 is horrible. Need improvement asap.